Orbit Series O2X dual orbital boom system extends the utility of the original O2 dual orbital boom with the addition of detachable arms via IO Quick‑Change Couplers. Four IO‑A telescopic boom arms are included (2 short arms, 2 long arms), allowing users to custom-configure a dual boom to adapt to a multitude of tasks in seconds. Orbit dual orbital booms feature a unique dual-arm design – each arm equipped with the proprietary ORBIT ball swivel mechanism – making it one of the most versatile booms on the market. Orbit Series O2X dual orbital boom system extends the utility of the original O2 dual orbital boom with the addition of detachable arms via IO Quick‑Change Couplers. Four IO‑A telescopic boom arms are included (2 short arms, 2 long arms), allowing users to custom-configure a dual boom to adapt to a multitude of tasks in seconds. 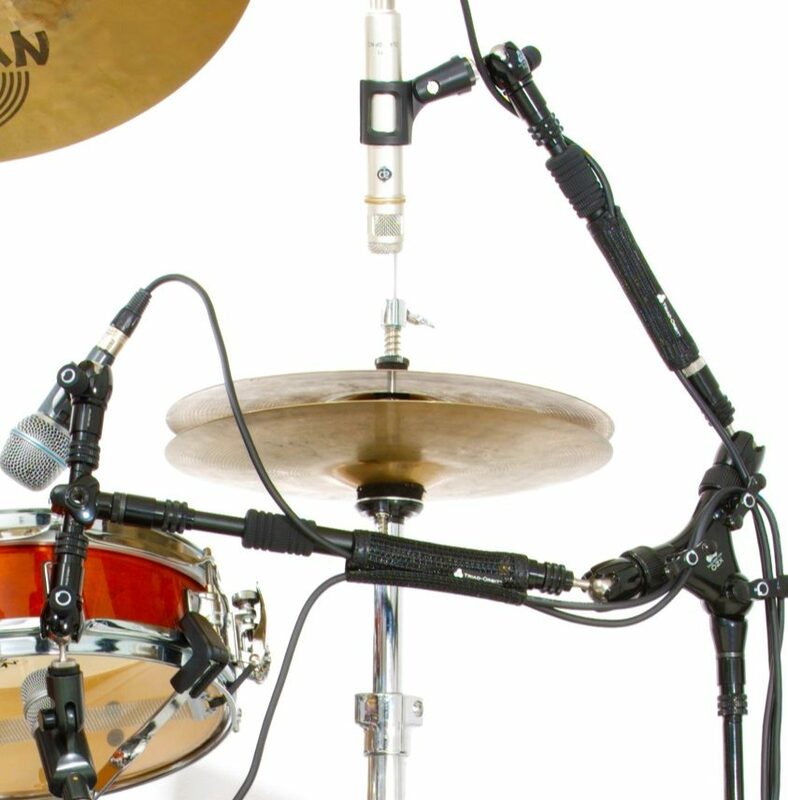 Applications across multiple disciplines are now a reality; today it is the ‘go-to’ stand for stereo or dual miking assignments such as grand pianos, snare drum (top & bottom), guitar and vocals, choirs, big bands, and orchestras – Tomorrow it is the center of a full A/V multimedia or Social Media solution holding lights, cameras, microphones. Orbit O2X booms do the work of two stands, freeing up resources when multiple devices are called for and space is limited.Dual boom arms are only part of the ORBIT O2 story. Anchoring ORBIT 2 is a novel center swivel that provides an additional 45° of left-right motion to the boom arms. The Compass Point ball swivel housing provides each O2 boom arm with precise, stable positioning whenever the arms are engaged. And IO Quick-Couplers terminate the end of every O2 arm, offering twice the versatility of conventional booms in a fraction of the time it takes for normal setups. Single Arm Length: 2.87-27.75 in. Max. Dual Arm Span: 62.5 in.